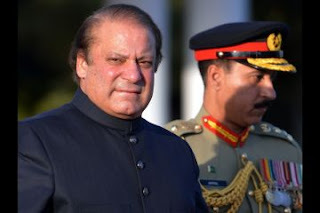 Pakistan Muslim League N Leader Mian Muhammad Nawaz Sharif taken Oath as Prime Minister of Pakistan for third time on Wednesday evening and became the only person in history of Pakistan to be the Prime Minister for third time. Today its first day of Nawaz Sharif as Prime Minister of Pakistan after almost 14 years. Nawaz Sharif has came in power at a time when Pakistan is facing many big crises which needs to be resolved quickly. Load Shedding, Corruption, Debt, Terrorism, Drones, Balochistan crises and many more. To solve these problems Nawaz Sharif will have to choose a team of good people and work with proper planning. the problem which needs to be resolved first of all is Load Shedding because its effecting almost every Pakistani. There is no light in homes and millions of workers lost Jobs due to Load Shedding. Economy is suffering greatly due to this. Nawaz Sharif taken a good step by sacrificing his govt in Balochistan and giving Chief Minister and Governorship to local parties of Balochistan. United States is leaving Afghanistan next year so Nawaz Sharif will also have to prepare for this withdrawal. he will also need to take step for reducing the debt on Pakistan. It seems like that Nawaz Sharif really wants to solve problems of Pakistan this time and he has learn a lot from his past makes. how he will do it will be interesting to see. we will find it out in next few months.